We specially designed this itinerary to tour in some most enchanting places in the stunning Yunnan Province - the "Spring City" of Kunming, Dali - the ancient capital of the Bai ethnic minority kingdom, Lijiang - the UNESCO World Heritage city, then fly to Xishuangbanna Dai Autonomous Prefecture in the south-most tip of Yunnan Province - the most popular tropical scenery tour destination in China. Tourists can enjoy spectacular scenery, folk arts of the ethnic minority people, and cultural relics, explore the famous typical karst landform - the Stone Forest, feast on the snow-capped mountains, lakes, indulge yourselves in the exotic ancient towns and local minority villages and the tropical rain forest. Xishuangbanna, means "Twelve districts of one thousand mu of paddy fields each", the capital of the beautiful and fascinating Dai Autonomous Prefecture in the south-most tip of Yunnan Province is almost the most popular tropical scenery tour destination in China. It is famed for its wild herds of elephants, virgin tropical rain forests, rare and precious ornamental plants, multifarious peculiar cultures and customs of many ethnic minorities together with their distinctive residential buildings and garden-like surroundings in this Southeast Asia’s borderlands. No wonder to spend a holiday in this land is an ideal experience for every tourist. Ancient Baisha Town (Baisha Fresco), Ancient Lijiang Town, Jade Dragon Snow Mountains, ancient Shuhe Town and Black Dragon Pool. * Walking in the most famous karst landform in China - Stone Forest. * Uncover the exotic landscapes and experience the unique culture and minority folk custom. * Enjoy the precious and peculiar tropical plants in the most famous tropical botanical garden in China. * Indulging in the enchanting scenery and maybe can meet wild elephants in the virgin rain forest. Your private guide and driver will be on time and wait in the arrival at the Airport or Railway Station in Kunming, the famous Spring City. After lunch, you will depart for the 1st attraction of this itinerary, the Stone Forest, a series of karst outcrops around 120 km to the east of Kunming and covers an area of 400 square kilometers, includes The Greater and Lesser Stone Forests, as well as many other scenic spots, all of which feature stones in various formations. Animals, plants, and even human figures can be found here. The magnificent, strange and steep landscape creates countless labyrinthine vistas. Walking through the Stone Forest, you will marvel at the natural stone masterpieces and are bewitched by the intricate formations. Transfer from Kunming to Dali in the morning (around 350km/5.5 hours). Dali is a famous Chinese cultural city and a national scenic zone. Situated between the Cangshan Mountains and Erhai Lake reputed for their beauty intertwining snow capped pinnacles and crystal clear waters, Dali is an ideal tour destination with relaxing atmosphere and laid-back pace of life. The Tour in Dali will begin with the visit to the Three Pagoda Temple that faces Erhai Lake. As its name implies, there are three ancient independent pagodas standing in a symmetrical triangle inside the temple. With a history of more than 1,800 years, three Pagodas have been symbolic constructions of the ancient Dali City. Afterwards you will visit the primitive and tranquil Dali Old Town, where you will enjoy limpid streams passing through the town and local people wearing their ethnic costumes. A street that goes through the South City Gate to the North City Gate is now a prosperous market street, selling marble, tie-dyeing and other souvenirs. Transfer from Dali to Lijiang in the morning (around 210km/3 hours). Lijiang is an exceptional ancient town set in a dramatic landscape which represents the harmonious fusion of different cultural traditions to produce an urban landscape of outstanding quality. This afternoon, Your tour guide will take you to the Ancient Baisha Town, the cradle of the Naxi culture and ancient capital of the Naxi Kingdom, and enjoy the famous Baisha Fresco there. When the day draws to its end, you will visit ancient Lijiang town includes the Black Dragon Pool (Heilong Tan), an UNESCO World Heritage site, walk down the cobblestone streets over 700 years and see the Naxi way of life which changed little over time. The view of the massif from the gardens at the Black Dragon Pool (Heilong Tan) in Lijiang is noted as one of Chinas finest views. The mountain is the most southerly year round snowcapped mountain in the Northern Hemisphere and with its natural unspoiled beauty it draws a great many scientists, as well as visitors from both home and abroad. The town was constructed around 1000 years ago. In 1278, the Yuan Dynasty appointed the Naxi chief Mu De hereditary ruler of the area, and the Mu family retained power for about 500 years. Today their palace is one of the major tourist attractions of the old town. Lijiang is elected as one of the laziest cities in China in 2004. Life here couldnt be more comfortable. There is an upside to Lijiang being a tourist attraction. A late breakfast in one of the many up-scale cafes fits the slow, lazy pace of life. The pizzas, pancakes and coffee are up to standard, refined over the years through tips from overseas travelers. Lijiang became known in the west through two men who lived in or near the town in the early 20th century, Austrian-American botanist Joseph Rock who wrote a Naxi dictionary, several scholarly papers, and many articles for National Geographic, and Russian Peter Goullart who wrote several books. It has been suggested that Rocks articles inspired James Hiltons Lost Horizons novel about a fictional Himalayan paradise, Shangri-la, but the claim is controversial. In the morning, drive about 30km/40 minutes to visit the Jade Dragon Snow Mountain, a treasure of wild plants and rare animals, are like a silver dragon lying in the clouds. 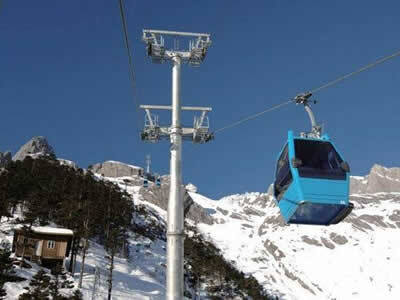 Today, you will take cable car to the Glacier Park, visit Ganhaizi, White Water River Scenic Area, Yushuizhai scenic Area (means Jade Dragon Village scenic area). You will complete the tour today by visiting the ancient Shuhe Town, just 6 km northwest of the fully packed tourist town Lijiang. Ancient Shuhe Town is alive with the strong culture of primitive simplicity, and a place where visitors seek the traditional way of local life. Once an essential stop along the ancient Tea Horse Road, Shuhe has displayed its commercial spirit by opening clusters of shops and bars catering to tourists. Nestled at the foot of Jade Dragon Snow Mountain, it is a tranquil town with a population of about 3000 people. Along with its sister town Lijiang (Dayan Town), it is also part of the UNESCO Heritage site. Shuhe is the earliest settlement of Naxi people in Lijiang when their ancestors first moved to this region. Today you can wake up naturally at this the laziest city in China and enjoy the peaceful and charming atmosphere of Lijiang Town. In later morning, you will be transferred to the airport for a 1-hour flight to the Southeast Asia’s borderland - Jinghong city, the capital of Xishuangbanna Dai Autonomous Prefecture in the south-most tip of Yunnan Province. Say goodbye to your guide at airport. Upon arrival, meet your local guide and transfer to the Primitive Forest Park. You will enjoy the peacocks flying, rainfalls, Aini Minority Wedding Custom Performance, strolling in the valley of the virgin tropical rainforest and so on in the Park. Today, your sightseeing in this borderlands begins with the visit to Ganlanba (means Olive Dam) Market. It is around 40 km to Jinghong city, in the lowest place in Xishuangbanna by the side of Mekong River. It is a large scale local market where you can find a lot of local commodities and many kinds of tropical fruits. It is also a very well protected Dai minority village located in the picturesque green surroundings. Afterwards you will visit Xishuangbanna Tropical Botanical Garden - the most famous botanical garden in China with 3,000 different types of plant. The environment here is spectacular, surrounded by rivers and mountains and containing many rare and unusual plants, trees and flowers. Today your tour ends with the visit of Dai Minority Garden. There are 5 well-preserved natural Dai minority villages in it. In this garden, tourists may not only enjoy the beautiful tropical landscape but also learn the splendid culture of Dai people. Today you will visit the Wild Elephant Valley and Jino Minority Mountain. Situated some 47km north of Jinghong, Wild Elephant Valley is at the junction of the western and eastern part of the Menyang Natural Reserve which is home to Xishuangbanna s native wild Asian elephants, its the last remaining refuge of wild elephants in the whole of China. The valley of the Sancha River and the hills to the west and east are covered in dense tropical rain forest and are well watered by numerous streams. In the valley, there is an observation tower, especially built for tourists. The best time to see these impressive beasts is at dawn or dusk. There are currently 300 elephants living in the dense forest in Xishuangbanna. A mountain where Jino Minority has stayed in it for hundreds of years. 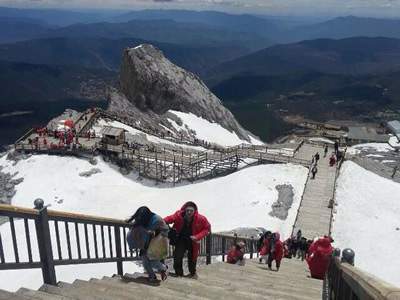 Tourists can walk into the mountain to see the true life of Jino Minority, one of the less numerous of the recognized minorities in China and the last one included as "national minority" because they were only recognized in 1979. Today, your guide and driver will meet you according to your time to transfer to the airport. Your guide will look after you until your safety at the correct airport check-in desk to complete your amazing tour. Say goodbye to your guide in Xishuangbanna and leave Jinghong for your next destination.